Pool covers are used for different reasons such as minimising pool maintenance by keeping away contaminants and debris or as safety barriers that secure your swimming pool. Various kinds of pool covers are available with varying primary functions and advantages. There are a number of tips you need to keep in mind when choosing a swimming pool cover. An important consideration is the main purpose if buying a pool cover. Safety reasons necessitate buying a cover such as the mesh pool cover if there are children. This type of cover reduces the risk of accidental drowning. A mesh cover is also ideal in places that experience high amounts of rainfall and in-ground swimming pools because it makes it possible to filter rainwater through them. If you have a pool in the backyard that is surrounded by trees and dead leaves tend to drop into the pool, leaf pool covers are worthwhile investments. These are made from lightweight fabrics that are directly installed over a safety net that keeps debris and leaves out of the pool. 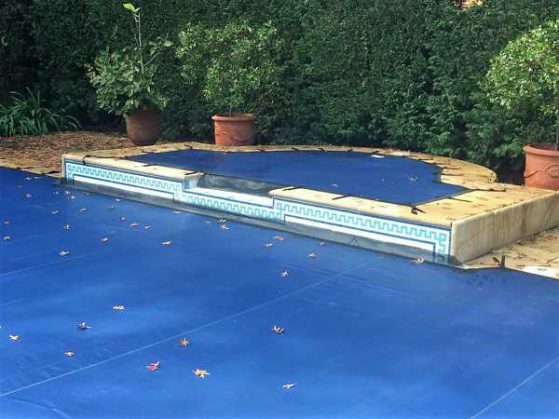 A leaf pool cover is specially designed to minimize pool maintenance but may not be the most effective option if you need a safety barrier. Another important consideration is the climate in the area. Some pools are situated in places that are susceptible to extreme winter conditions that may compel pool owners to purchase a mesh pool cover that is also referred to as a winter pool cover. This type of cover consists of a stable mesh that is reinforced along the edges with straps. Anchors are also used to secure the cover in place. This enables the cover to protect the pool against harsh weather. In warmer or sunny areas, pool owners can think about buying an automatic pool cover that works by insulating the heat in the pool. It is always a good idea to invest in pool covers that come with warranties from the manufacturer Warranties serve as an assurance that the pool covers are strong and have the ability to withstand the effects of the elements over an extensive period of time. Customers trust brands that offer specified warranties and need to be assured that there is an option for replacing defective covers. Consider the shape and size of the pool prior to buying a pool cover. Once you figure out the surface area, invest in a pool cover that offers an allowance for anchorage along the sides. The cost of installing a pool cover varies and depends on factors such as the type of cover, size of pool and complexity of installation. Swimming pools are generally classified as above-ground and in-ground pools. Winches are used for above-ground pools to fasten the cover around the pool’s rim. In-ground types of pools are situated on the ground and the pool covers are typically attached to anchors. It is important to select a suitable cover according to the type of pool you have.